This language diversity has been wreaking havoc for many years in Belgium’s political arena. Tensions between the Walloons and the Flemish are high. The relationship between the two groups has deteriorated within the Belgium Parliament itself. The political system in Belgium is quite complicated partly due to the fact that there are two major linguistic communities that exist in one country. The Dutch-speakers are the majority while the French-speakers are the minority. Even though an equal status has been guaranteed by the State to both groups, these factions are still continually at odds with each other. In Belgium’s voting system, citizens living in the Flemish Region can only vote for candidates belonging to the Flemish political party. On the other hand, citizens in the Walloon Region can only vote for candidates that are members of the Walloon political party. 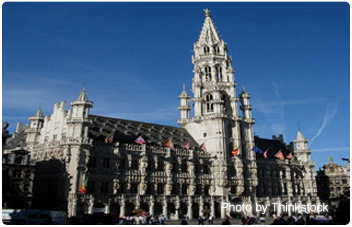 It is only in the Brussels-Capital Region that citizens can vote for candidates from either of the two political parties. In 2005, two municipalities in the Brussels-Capital Region, Hal and Vilvoorde were thrust in the center of the tension when the Flemish political parties claimed that these two border municipalities should be part of the Flemish Region. Of course the French politicians opposed the measure, as this would not be to their benefit. The French side would lose part of its electoral power if Hal and Vilvoorde were annexed to the Flemish Region. There are more instances of linguistic disputes and tensions in Belgium beyond the electoral system. These are all documented in papers and newspaper articles. Negotiations have often broken down because each side sees the demands of their linguistic opponents as over the top. This clear language divide is affecting the country politically, economically, socially and culturally. Will there be a resolution to this ever growing problem in Belgium? Or will the world one day see a Belgium divided into two countries? Stay tuned. Languages differ in many ways. But should it create some restrictions and tensions? A language is meant to unify, to communicate between and among groups and individuals. We know that a language helps in building associations and partnerships and bridges differences. A language may be different, but it should be meant to unite. That is why language interpreters and translators are needed when there assemblies where people from different countries interact.